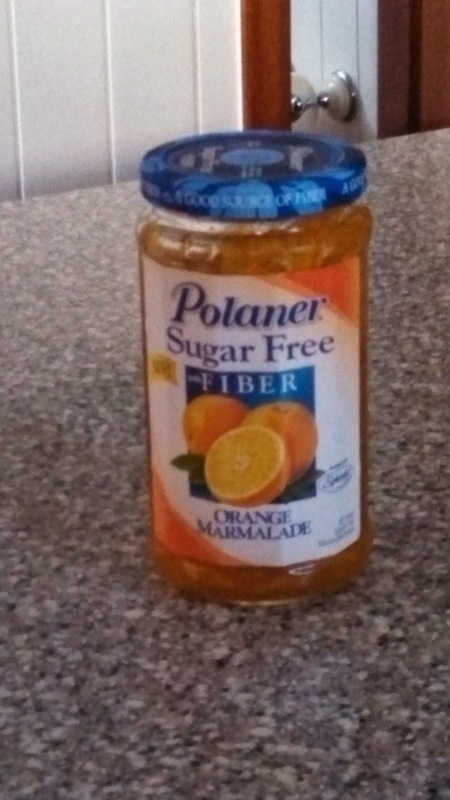 Actually, we had been mounting a search for Joe's favorite marmalade which had recently disappeared from the grocery shelves. He finally found it again at a Kroger near Hampton, where he grudgingly let another shopper have one jar of the twelve that were in stock. So that made the rental worthwhile. Unfortunately, the night before it was to be returned to Enterprise, while parked in the garage that Enterprise uses, the car was keyed. Now we get to find out how well AMEX takes care of us. So far it's looking good. Saturday Randy and Barb (Lazy Dolphin) showed up in time for dinner. We had a great time catching up with them and hoped they'd end up staying a few days. But the next morning they'd decided to leave to try to beat some windy weather that was predicted. Before they left we heard a couple of loud "pows" from their direction. Then we noticed our power was off. Then it was clear the power was off all over. Must have been a transformer that blew. So, Barb and Randy started on their way south to Portsmouth. Not too long after, the power came back on. Then an email from Barb. Evidently when the transformer went, it took their inverter along with it. So, off to a Portsmouth marina they went to wait for repairs. 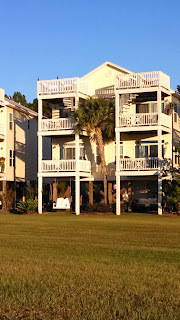 Our plan had been to leave Hampton and cruise to Manteo to spend a week at Duck on the outer banks with family. The wind was not cooperating, so we called Enterprise - who didn't even balk at renting us another car after the keying incident - so we could drive there. 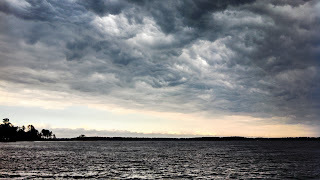 As we got ready to leave the boat the wind blew and the rain fell. Soon the dock was covered with about four inches of water. We dug out our boots and waded to the car with our luggage. By the time we got to Jean and Rich's beach house my other sister, Lynn, and our son John along with his wife Meredith and two boys, Alex and Samuel, were already there. We hadn't been to the beach house in years and hadn't seen the grandkids since last spring. Alex, at three years, and Samuel, at 9 months, had changed a lot since then. The weather was less than cooperative, but we had a really good visit with everyone. As always, Rich brought out some old wine from his stash. After dinner we tried to learn how to play Mexican Train dominoes. It seemed like every night we discovered a few more rules. But we laughed a lot, so it was all good - as Alex's favorite, Pete the Cat, would say. The weather wasn't great (as the photo of Zorro the weather vane demonstrates), but we did manage a few walks on the beach and Alex managed to destroy sand castles before they could be built. He even tried to teach John and thing or two about surfing. The house survived the visit, so we all plan to come back again. Earlier we'd gone to the Air and Space center to see Gravity on the IMAX in 3D. We were exhausted - mentally and physically - by the end but both really enjoyed it. Since we had the car, we stopped in Portsmouth after the beach go to the Commodore to see Capt. Phillips and then to have another quick visit with Barb and Randy. It's always so relaxing to sit at the table in the upholstered chair to watch the movie, except there was nothing relaxing about this movie. Again, we really liked the movie, but even knowing the final outcome, it was stressful to watch. The next weekend was the Snowbird Rendezvous at Hampton. I had caught a cold while we were in Duck, but Joe participated. Evidently, I really missed out on some good meals and presentations. Finally it was time to move on - after nearly 3 weeks. 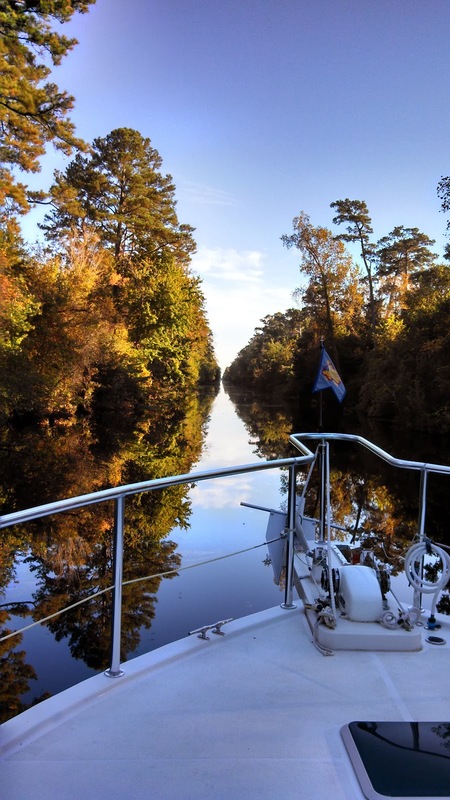 There are two routes south from here, we prefer the Dismal Swamp Canal. We'd heard it was closed due to a large accumulation of duck weed. As it turned out, it had been closed for a day or so, but it was now open and we were assured that the duck weed was under control. There was really only one patch of it left as we started through. 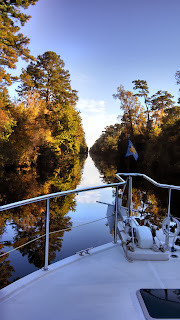 The weather was perfect for the trip, with the incredible reflections of the trees in the water. There were just the beginnings of some fall colors in the foliage. We normally stop after the first lock and visit with Robert, the lock master, and walk to the Mexican restaurant for dinner. The timing didn't really work out this time, so we said hello and good-bye to Robert as we locked through and went ahead through the canal. A few days later we found out that the Mexican restaurant has closed. Sad news, as it had become a regular stop for many cruisers as they passed through. We spent the night near the South Mills lock at the south end of the canal. As it got near the 8:30am opening time boats began to join us. There ended up being 11 boats in the lock, using all the wall space on the both sides - but there was still room for more in the middle. Most of these snow birds are Canadian - does anyone stay up there for the winter? When Joe booted up the ship's computer it failed to recognize his Nobletec I-key. In other words, the navigational software would not work. So as we went along he installed Rose Point, a new navigational program he was planning to try out this winter. No time like the present! He got it basically working, but he couldn't access radar without a code that was waiting with our mail in Green Cove Springs. 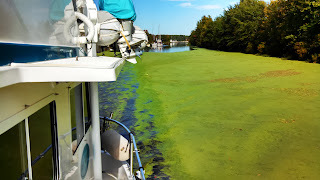 We ended up making it a long day - to avoid crossing Albemarle Sound in the wind that was arriving the next day - and anchored in the Alligator River. The next morning we awoke to fog. And had no radar. We took our time over breakfast and it started looking a little brighter. We also heard reports from boats a little farther south that there was less fog as they went along. So, we started out, the fog lifted and all was fine. After about four hours Joe decided to stop and anchor. There was a cold front that was going to come through accompanied by strong winds. He also was hoping to get on the phone with the Rose Point people to ask some questions about the software. He chatted with the knowledgeable tech folks and I watched some great clouds as the front came through. 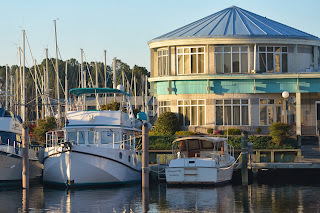 The next morning the wind was not as bad as we'd expected and we were able to make it all the way up the Neuse River to Fairfield Harbor in New Bern, NC. 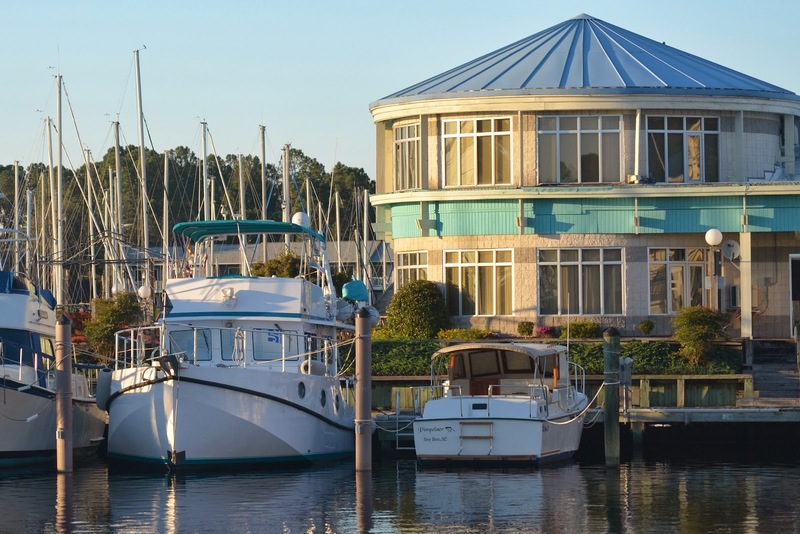 Here, at Northwest Creek Marina, we will be spending the winter. Joe keeps complaining about the possibilities of icebergs and polar bears, but if they have palm trees, how cold can it get? We now must get our car from Charleston so we have wheels as we are 20 miles from town.